Releasing tomorrow are the Air Jordan IX – For The Love Of The Game sneakers, but a special collaboration with Skull Candy will produce an even more limited pack. Only Atmos and House of Hoops in Harlem will be receiving this box set though. People…….hope you didn’t forget! The Air Jordan IX Retro – white/red/black colorway released today! This is going to be my first pair of IX’s! Are you coppin? 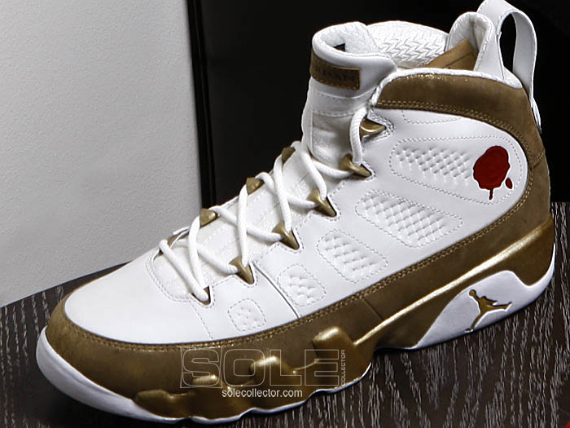 So the official release date for the Air Jordan IX – “For The Love Of The Game” edition is Wednesday, August 11th! This is the opposite color scheme of the white/uni-blue that dropped a couple months back. What do you think? This year is also the year of the 9’s! Already, three different colorways dropped and a few more to follow, including this black/dark charcoal/true red. Look for a September 2010 release on these. 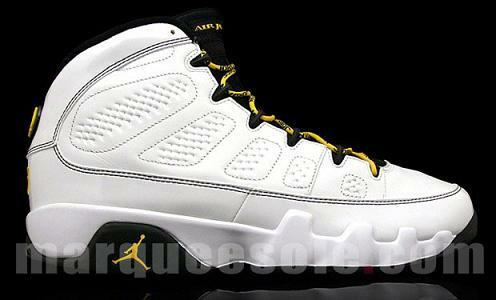 Yet another Air Jordan IX to release this year will be the white/citrus/dark army colorway. Sounds like 2,000 pairs will only release making this a possible quickstrike. Stay tuned for info. If you like limited Jordans, then here is your chance. 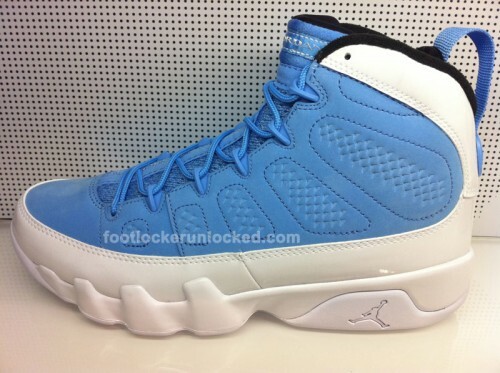 The reverse “Powder Blue” Jordan IX’s will only be available to 2,000 pieces. By the logo on the heel, looks like these are some sort of charity release or quickstrike, so stay tuned for more information. Dont forget, releasing tomorrow is the Air Jordan Retro IX in the white/powder blue colorway. I’m a little excited because they will be my first pair of IX’s, but there is more heat on the way! Looks like the next installment of the Bin 23 collection is dropping very soon. The Air Jordan IX in the collection will be dropping June 5th, so expect a very limited release for them. This will be another colorway releasing for the Air Jordan IX’s this season. This shoe comes with a predominantly white upper and deep forest on the stitching, sole, heel, and shoe laces area. The Air Jordan IX – citrus/deep forest has no confirmed release date yet.